Dreams of the Dragonfly: To Scotland and Beyond! I can't tell you for certain when it happened, but I know my first foray into it was one evening at the local K-Mart where I was shopping for other, not associated in any way, things. What I do know is that when I saw it, I wanted it...and I needed it. Right Then. 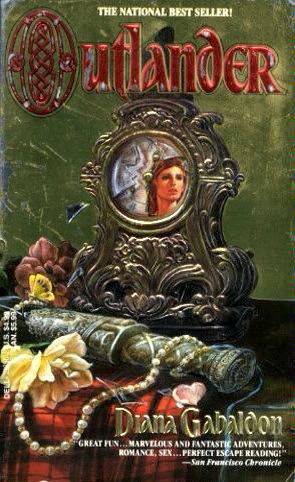 Of course, in the UK, Outlander was sold under the title "Cross Stitch" but it was the verra...I mean very same book in which Claire Randall, a WWII English nurse, steps through a ring of standing stones and is transported smack dab into 1743 just prior to the Jacobite Rising in 1745. There, she meets a fine Scottish warrior and begins an adventure 200 years in the past. While this novel has romance, it was also painstakingly researched by the author, Diana Gaboldon, and her words bring both the relationship between Claire and Jamie, and Jacobian Scotland, amazingly to life. I have always tended to keep "bodice-rippers" at arm's length in lieu of historical novels, mysteries, and such, when I say that these books have everything (including a wee bit of ripping bodices) - I mean everything. 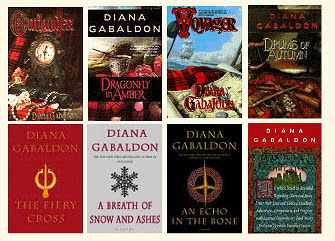 In the many reviews I have read, most of them state that this series is (there are seven more books to date, plus a companion book) extremely hard to place in a single genre - it is a story of love, a story of loyalty, a story of family, a story of history, and a story of adventure, and loss, and morality, and death, and struggle, and military maneuvers, and faith... need I go on? Anyway, I tore through that first book way back in 1991, and when I was done I quickly purchased the next book, "Dragonfly in Amber." When that was done, it was onto the third book, "Voayager" in 1993, and then "Drums of Autumn" in 1996. However, my series reading was diverted for a long period during which a divorce happened, a new-life-found happened, and courting, and adventure, and college, and...well, you get the picture. Still...I had fallen even more in love with Scotland than I already had been before, and my passion for history had been further fueled. For several years, there had been, of course, "Fantasy Casting" whereby Gerard Butler (among others) was cast as the perfect James Fraser, and a number of beautiful actresses cast as Claire Randall. But it was only a throught-provoking (or heart-provoking) discourse of who's and when's and why-hasn't-it-been-made-into-a-movie-yet. Cable channel STARZ picked up the rights to the screenplay, received a green-light for 16 episodes, brought in a team of four established writers, a well-known director, two seasoned producers, and a casting agency. 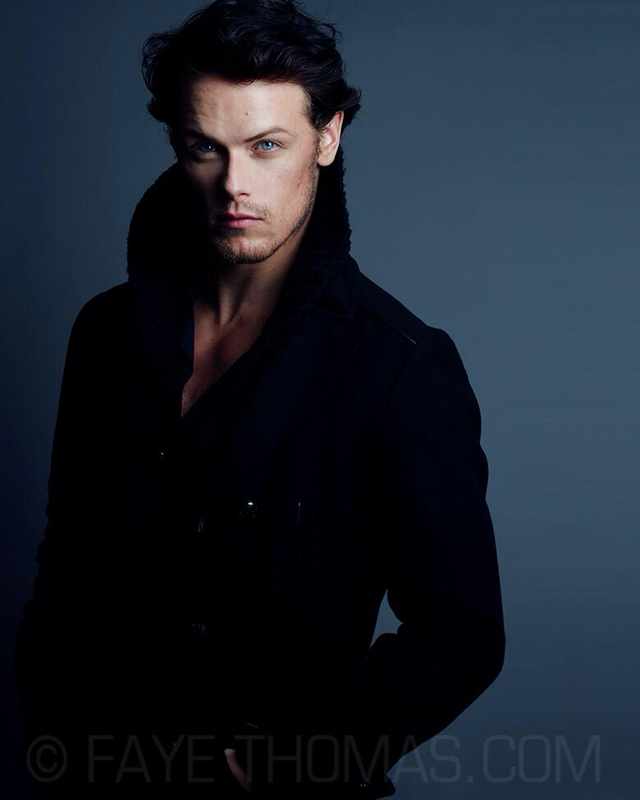 While the character of Claire Randall has yet to be cast (at the time of this post) the role of Jamie Fraser has been perfectly filled by Scotsman Sam Heughan. Also added to the cast are Gary Lewis, Graham McTavish, Steven Walters, Annette Badland, as well as Englishman Tobias Menzies, who will portray the "villian" in the series. In the meantime, I have become a wee bit addicted to Twitter, started a Tumblr account, and have added many new faces to my Facebook account. "Outlander" is now in ebook form, and I am back in the thrill of Jacobian Scottish history. I have a LOT of reading to do before March 2014! Would you care to join me? I looove these books, only came across "Cross stitch" las t year on a trip to the highlands, and now hooked. I am so excited about the up-coming screenplay ~ will they do it justice!!! ps: Hi from another "Once upon a time " team member. Never heard of those books (and never heard anyone say "verra" except in fiction!) but I'm glad you like Scotland! Happy new year.